You cannot plant and grow garden flowers or vegetables if you do not maintain the soil in your garden in perfect condition. 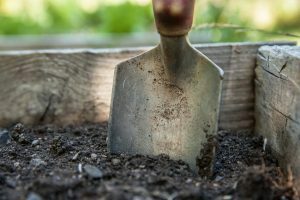 Improving the soils is essential for increasing a garden’s productivity, but the different problems require different amendments. 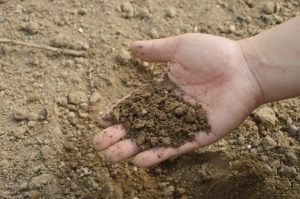 Here are some of the most common soil problems and the best ways to deal with them. If your garden lacks soil life, it probably suffers from poor water drainage and the plants are re-missive. The solution to this issue is to spread compost that reaches 3-inches deep in the soil and forms an equally thick layer over the ground. Soil germs will also truly benefit from cover crops, crop rotation and conservation tillage. An excellent way to enhance soil life is to add some amendments containing beneficial bacteria to ensure the soil will be provided with everything it needs to be healthy and productive. If a garden bed dries out because it drains too fast, compost can again be a great solution to the problem. It will really amend the soil, adding nutrients and improving its capacity to retain water. Be careful to use only mature compost, otherwise your plants may be deprived of supplements. You can also prevent water evaporation by mulching the soil around the planted crops. Enhance soil drainage and fight excessive dampness by adding some extra space between the particles of the earth. To achieve this, you can incorporate sand or gravel in the soil. Such amendments, however, might also require additional organic matter that will bring more nutrients to your garden. 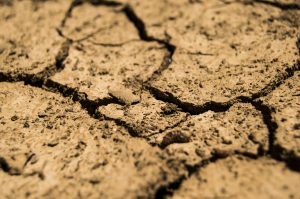 Be careful and do not add sand to clay soil. Raised bed gardens are a good solution in this situation as they help the planted areas drain quicker. Avoid planting your greenery in areas that are too close to natural water pathways or it will be very hard for you to take care of the plants. Alkaline soils can be amended with iron sulfate or elemental sulfur. If you choose to use sulfur, it should be applied to the garden soil about a year prior to planting the crops as its reaction is slow. If the pH level of the soil is generally high, check it annually and add amendments whenever needed. Of course, you can simply accept the fact that your garden has alkaline soil and grow plants that are suitable for such conditions such as spinach, asparagus, lettuce and cabbage. Many gardeners’ favorite amendment for acidic soil is lime. Apply the lime depending on the soil’s type and pH to avoid possible negative effects caused by over application on your greenery. For more organic gardening, the soil can be treated with wood ash, but the ash should be applied very carefully. An excessive amount can increase the level of potassium in the soil, which will prevent plants from absorbing other types of nutrients. Some of the crops that tolerate soils with lower pH are potatoes, radishes, apples and raspberries, so you can consider growing them in your garden, instead of constantly trying to reduce the soil’s acidity. The more you take care of your garden, the healthier and the richer it will become. Yet, sometimes too many chemicals can have a negative impact on the soil or produce. Growing in a more eco-friendly manner is never a mistake and there are plenty of organic amendments that can be used to improve the productivity of a garden. Biological soil amendments which contain plenty of beneficial microorganisms are an excellent way to stimulate and improve soil life. Bill Baugh is a product manager for Custom Biologicals, Inc. a manufacturer and distributor of innovative microbial products. You can visit their website at Living-Soils.com and he can be contacted at 561.797.3008 or Bill@Custombio.biz. Previous Previous post: Sphagnum Moss for Orchids – Friend or Foe?